I’m sorry this isn’t the prettiest picture ever. It certainly doesn’t tell the whole story of this dish. Robyn will attest to this, but I quickly scrapped together the last of what was in the skillet to at least try to show you what I made as we were finishing our Oscar-night dinner. 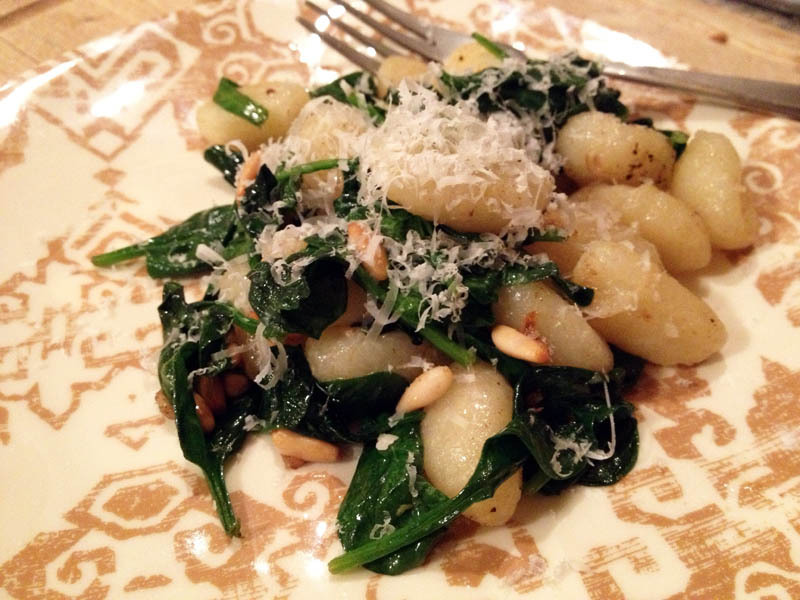 But this Brown Butter Gnocchi with Spinach and Pine Nuts is a dish you need to try. If you didn’t have to boil water, it’d take less than 10 minutes. And the short ingredient list doesn’t foretell the delightful blend of indulgence (butter) with healthy (spinach). Wilted greens combine with little potato dumplings and accented by the crunchiness of pine nuts and saltiness of cheese. 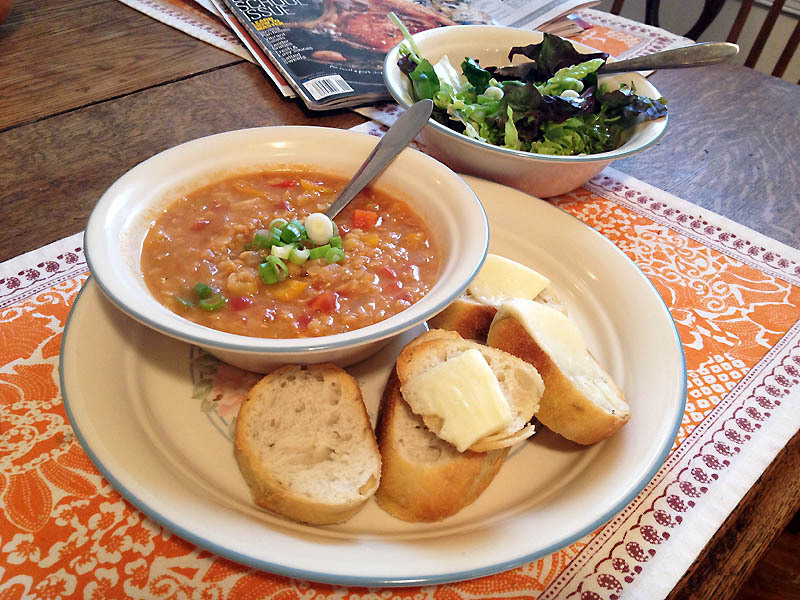 This Cooking Light recipe has been a family favorite for years. My mom tore the glossy page from a magazine early in 2009, and it’s been in the recipe binder ever since. 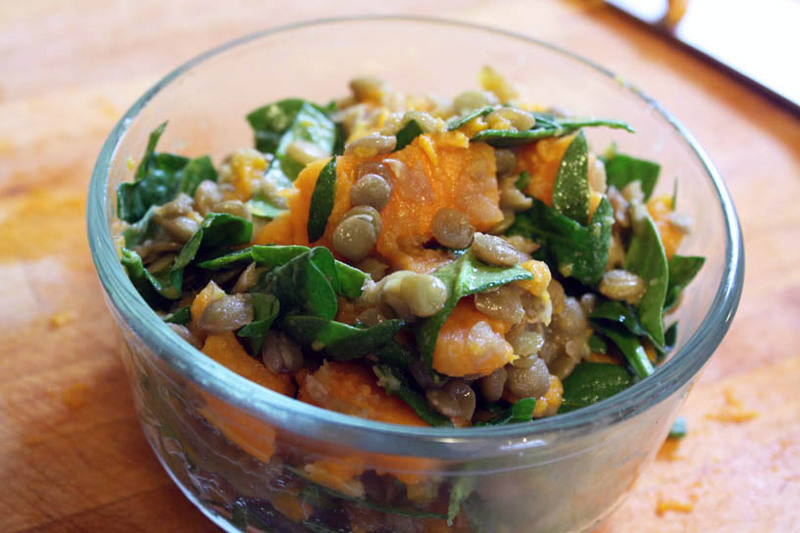 If you were better at grocery shopping and planning ahead than I am — or had more than one mouth to feed — you could serve this with a simple green salad and maybe even some good bread, if you’re a carb lover. And definitely some wine. The greasy pizza that I picked up for lunch across the street pushed me over the edge. Coming at the end of three days of heavy (but delicious) eating–alfredo sauce, apple tart, hot chocolate, calzones, veggie sausage gravy with biscuits–my body felt terrible after just half of the personal pie. It was past time for some vegetables. 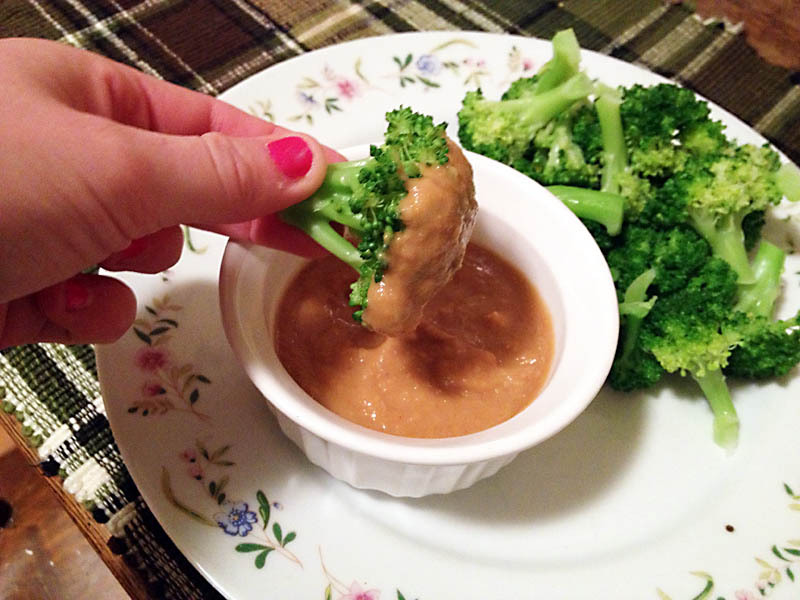 This peanut butter dip has been one of my family’s favorites since I found it in a 2008 issue of Vegetarian Times. It’s creamy, has a bit of spice and is extremely versatile. Thinned out, it can be a sauce for noodles or in stir fry. As is, I enjoy it as a vehicle for eating a plate full of broccoli without a second thought. It’s that good.